Niigata is known throughout Japan as a gastronomic region, producing a very famous rice, excellent fish, and farm products. 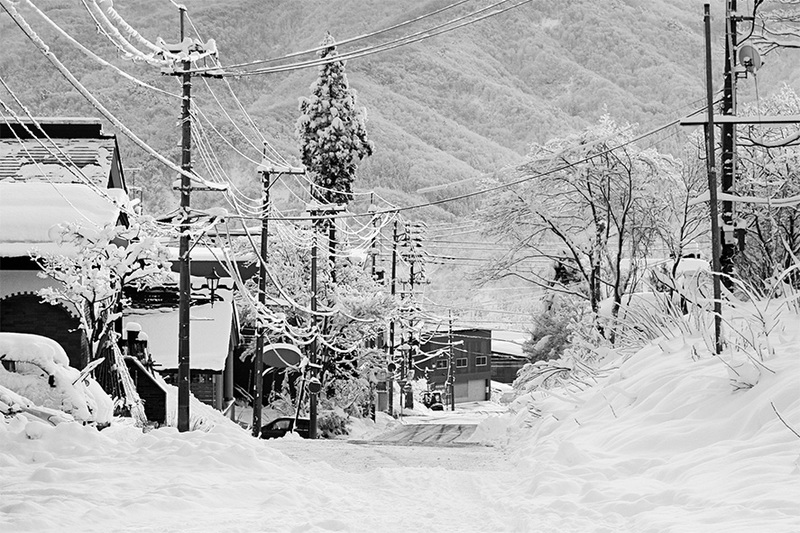 Snow is an essential component of the gastronomic landscape in Niigata. In spring, the winter snow melts slowly on the slopes of the Niigata mountains, gathering a wealth of nutrients along the way before joining a river and leaving deposits in the soil. Rice and Niigata products are grown in this ideal environment. Locals take pride in their gastronomy, their fish, fruits and vegetables. Discover some typical dishes of the Niigata region. 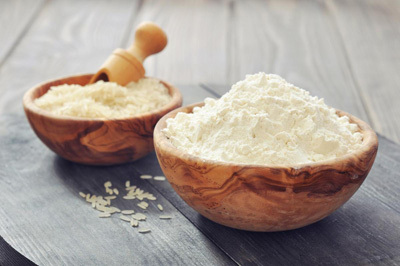 Rice flour is a type of flour whose color is very similar to the color of wheat flour as it is used for Japanese bread and local pastries. It gives a soft and mellow texture, leaving a slightly salty taste in the mouth. Mochi (it's pronounced "moh chi") is made from a special rice called "mochi rice" that has a high starch content and becomes sticky when it is cooked. Once cooked, beat the rice until it turns into a sticky and mellow dough. This is the dough that gives the mochi once the cooking is done. Mochis can be plain, sprinkled or covered with various sweet or salty products. 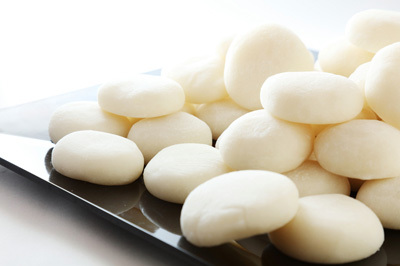 * The Japanese expression "mochi mochi" precisely designates this soft aspect typical of the mochi. Don't mix up with "moshi moshi" which means "Hello?" ! 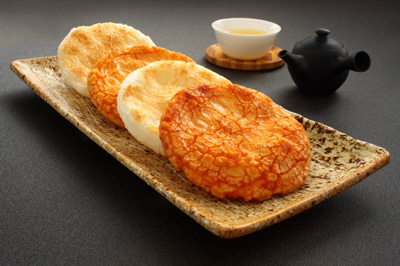 Japanese sembei are similar to appetizer cookies in France. Often salted or frozen with soy sauce, these crackers are perfect to accompany alcohol and ideal for the appetizer. 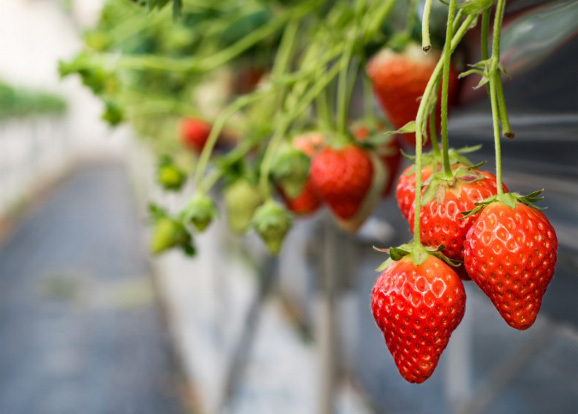 When talking about Niigata agriculture, you cannot afford not to mention Echigohime strawberries (also called "Princess Echigo"). This name is derived from the fact that these strawberries are young, beautiful and appetizing. They are characterized by their shiny surface, very fragrant and sweet flavor with a hint of acidity. Weighing 20 grams on average, they are larger than the average. The season for this variety extends from the end of January to the beginning of June. These pears are mainly grown in Shirone (Niigata), also known as the "pear capital". In 1903, the farmers of Shirone brought back the first set of Le Lectier pear trees. These pears are considered as a rare, valuable product as they are harder to produce and give little yield. The Lectier pears of Shirone are extremely tasty and among the finest quality, thanks to the Shinano river which brings abundant water and allows the land to remain very fertile. 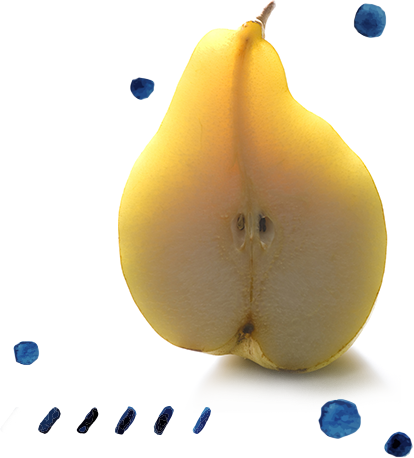 These pears are known for their ripe fruit perfume and smooth flesh. They are picked at the end of October and ready to be tasted in December, when they are soft and yellow. 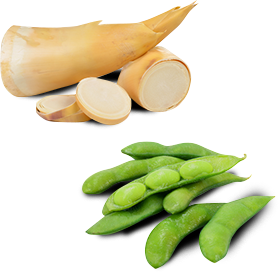 The bamboo shoot is abundant in the gastronomy of Niigata, and typical of Japanese food: it is rich in protein and potassium, and the Japanese love it for its crispness and freshness. The Niigata prefecture, which is one of the main growers of edamame, produces more than 40 varieties. The season runs from mid-June to early October. Perhaps the best-known variety is Kurosaki Chamame, produced in Kurosaki of the Nishi district. Also called "the queen of edamame ", this bean is famous for its crunchiness and its sweet, fragrant flavor. The inhabitants of Niigata are used to emptying whole bowls. Try them: they are served in most pubs in the area!